This song is exclusively a series of terminal rhymed couplets, aa/bb all the way through, except for the end of the verse word “bully,” appearing 11 times, not once rhymed. I see it as a thematic anti-rhyme, bullying its way through the song having the final say 11 times in conflict with the rhymes that dominate. It’s tough being the misunderstood bully, Dylan expresses throughout it, and what’s so tough about it is echoed in the discordance of “bully” vs the world of the rhymes living in the song. “Mr. Tambourine Man” is a treasure trove of rhyming, it is bathed in it; the sounds from it feel poured onto the page and when played they fill the air with a melody that charms while it summons the images the words from it create. Pictures of “one arm waving free,” going under dancing spells, a sky with no “fences facin” remain emblazoned in my memory. It is a skipping reel of rhyme; no, not so much skipping as dynamo-ing. Terminal rhymes punctuate it and the internal and embedded rhymes drive it, casting indeed a spell that the listener can’t help but want to be and stay under. Six of the eight verses have terrific internal rhymes creating perhaps what Christopher Ricks recognizes as the song’s “melodious buoyancy.” “losing” with “Susan” and the best one, “crimson” with “limbs an” display an active rhyming mind, one in command of words and sounds. All this is part poetry, part the way Dylan sings, it, breezy, light with just an edge of pleading, “Won’t you meet me out in the moonlight alone?” over and over again, to end this alone-ness once and for all, the incessant rhyming with “alone” echoing under the moonlight. I write this posting on Dylan’s 73rd birthday. “Masters Of War” is one of the reasons Dylan is so beloved, for his breath of vision to “see through” things to get to the heart of who or what is really to blame for injustice, heartbreak, loss, indignity, etc. Thanks, Bob, for opening up both our minds and hearts for over six decades. After the first verse, “Masters Of War” follows a rhyming sequence of a/b/c/b/d/e/f/e. The first verse is a summoning–it begins with an imperative, a command, Come here!–You, You, You, You, You, and then the “I” takes over, and the first rhyme kicks in “desks’/”masks”– words married in rhyme for a perfect image that will matter throughout the song. It’s not the despot, not the government, not the soldiers who are to be blamed for the ghastly fallout of war. No, but those who make the bombs, those who design them, those who sign off on them behind the safety of their desks. 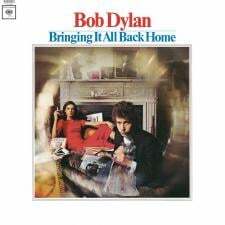 This is a song with biting invectives hurled with a velocity and capacity for sarcasm and irony that would define Dylan and still does. It’s a song that should stay in people’s faces to continue to unmask the real faces of destruction, greed, and brutality. The terminal rhymes in this song are consistent throughout; the pattern is a/a/b/cc. 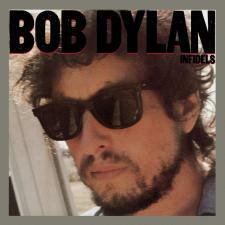 The first is a wrenched rhyme, “catch”/”outstretched”–listen to how Dylan sings it to force a unity of sound. The last two lines of each verse have words that rhyme with “peace,” so that word is sounded and echoed throughout; those rhyming words are “priest,” “grease,” “Police,” “least,” “feast,” “beast,” “cease,” and “East,” a collection that ebbs and flows between unrest and peace. What I like from doing this is how the variety of pronouns stand out for me more: the silent “He” in the first line (lots of imperatives opening each line–“YOU Look out your window . . .” the song begins), nobody, him, he, you, I, he, you, silent “You” in the seventh line, he. He’s everywhere, this man of peace, and we’re all involved. Sometimes with Dylan what doesn’t rhyme matters as much as what rhymes, or both or neither. The pleasure in this is that Dylan is playing with words and sound, and we can play, too, his songs, and with him. Here’s Dylan singing it live with Tom Petty in 1984. Here’s a beautiful 1965 cut from a Bringing It All Back Home studio session (thanks ralfsu!). The first verse in “Long Time Gone” has terminal single rhyming with the second, fourth, and sixth lines. The final word in the verse “gone” is an illogical rhyme–“gone” looks like it should rhyme with the other terminal rhymes, but doesn’t. The rest of the verses have only the single rhyme ending the second and fourth lines, “plains”/”age” a bit of an assonance stretch. The rest of the rhyming energy appears internally (“around”/”towns”/”somehow”, “times”/”tried”/”eyes”) but mostly centered at the end of the bridge line, also the title, with the word “gone.” But most are words that look like they should rhyme but don’t–more printers or illogical eye rhymes: “belong,” “one,” “long,” “done,” “son.” Only the third and last verse end in rhyme, “on”/”gone”, “upon”/”gone.” That last one indeed, a long time gone. This blog will take a decidedly different turn. My focus on the “me” rhyme in Dylan sent a clear message that I was taking on too much, and that a better approach was needed so I could actually accomplish something with Dylan and rhymes within a normal life span. So from here on out, I plan to examine the rhyming pattern in each of his songs and try to draw some conclusions, some grounded, some farfetched, but all with the intention of having some literary fun with Dylan’s rhyming words and patterns. I plan to continue this quest with a little help from my scholarly brethren like Christopher Ricks, Michael Gray, Robert Shelton and the like, and the actual Dylan concordance will grow and at a faster rate. Stay tuned, friends, and I hope you follow me down this new path, and thanks for reading.